Disney is teaming up with Dark Horse Comics once again for a new installment in their Zootopia young readers line, and we've got all the details. 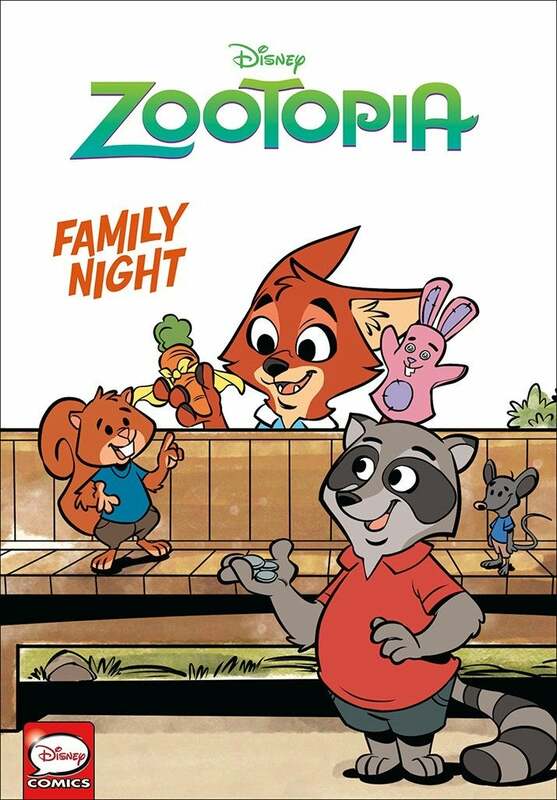 The new graphic novel is titled Disney Zootopia: Family Night, and will feature two stories starring Judy Hopps and Nick Wilde as they try and make time with their parents and siblings special. Family Night comes from writer Jimmy Gownley and artist Leandro Ricardo da Silva with colors by Wes Dzioba and letters by Chris Dickey. Like Dark Horse Comics and Disney's previous collaboration Disney Zootopia: Friends to the Rescue, Family Night is a book written with young readers in mind, though fans of all ages will find something to enjoy about it. Fans will also find special features and activities included. You can check out the cover for Family Night in the image above, and the official description can be found below. "Disney Zootopia: Family Night finds Judy Hopps finally getting to spend some one- on-one time with her dad! They're headed on a father-daughter camping trip, and Judy will earn a special Bunny Scout badge while she's at it! The great outdoors sounds like an adventure to Judy, but her dad is more concerned about running into bears and foxes. Then when bad weather ruins their plans, Judy's dad comes up with an alternative that isn't what she had in mind. But her night ends up full of excitement and Judy's time with her dad is still made special because they're together. Meanwhile, Nick Wilde wants to take his best friend to the biggest concert in Zootopia, but he will have to make some clever deals first . . . With no money and not much time, he'll use his wits to earn the money--or whatever else it takes--to get his hands on two tickets." You can also find the description of Disney Zootopia: Friends to the Rescue below. "Judy Hopps is excited for the fun at the Bunnyburrow County Fair, but her friend Dinah has to sneak out of the house to join her! When Dinah stumbles into trouble, it takes both Judy and Dinah’s talents to ensure that they both make it safely home. Meanwhile, at his friend Hedy's birthday party, Nick Wilde learns it's the thought that counts. While he might not have enough money to buy a gift, Nick has other talents that he puts to good use for a truly unforgettable celebration." Disney Zootopia: Family Night hits stores on March 13, 2019.